Farhan Ali - Heart Center Of North Texas, P.A. 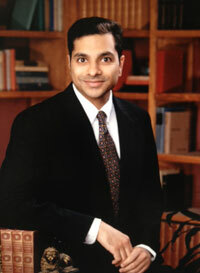 Farhan Ali, M.D., M.A., M.P.H., F.A.C.C., F.S.C.A.I., R.P.V.I. Farhan Ali was born in Norwalk, Connecticut and grew up in Fort Worth, Texas. He received his Bachelor of Arts at Washington University in St Louis, Missouri. He attended Boston University School of Medicine in Boston, Massachusetts where he earned a Master of Arts degree in Medical Sciences. He obtained his MD from Tulane University School of Medicine in New Orleans, Louisiana and also obtained a Masters in Public Health degree while in Medical School from the Tulane School of Public Health and Tropical Medicine. He attended Baylor College of Medicine in Houston, Texas for Internal Medicine Residency and then completed Cardiology and Interventional Cardiology Fellowships at Detroit Medical Center / Wayne State University School of Medicine in Detroit, Michigan. He served as Chief Interventional Fellow in Detroit and was awarded the Outstanding Fellow of the Year Award. He has numerous publications in the field of cardiology. He joined The Heart Center of North Texas in 2009. He is a Fellow of the American College of Cardiology and the Society for Cardiovascular Angiography and Interventions. He served as the first Chief of Advanced Cardiac Imaging at Medical City Fort Worth and helped develop programs in cardiac CTA, echocardiography, nuclear cardiology and MRI. Dr. Ali's approach to medicine has always been to treat his patients like his own family. He understands the importance of taking time to listen to their problems without being distracted with the fast pace of medicine. He is also fluent in Spanish. Dr. Ali was the first in the Dallas-Ft. Worth area to use the Diamondback 360 Orbital Atherectomy System in the heart. Dr. Ali co-authored a case report on Endovascular Repair of a Pseudoaneurysm Adjacent to the Ascending Thoracic Aorta Using a 25-mm Amplatzer Multi-Fenestrated Septal Occluder – Cribriform. This was published on the Vascular Disease Management website, the official news source for the international symposium on endovascular therapy. To read the article, click here. Dr. Ali performs Structural Heart procedures such as the Transcatheter Aortic Valve Replacement (TAVR), the WATCHMAN and Patent Foramen Ovale (PFO) procedures. He is also appointed as an Adjunct Clinical Assistant Professor in the department of Internal Medicine with the University of North Texas Health Science Center. Dr. Ali was selected as a "Top Doc" in Fort Worth, Texas Magazine for cardiology in 2012 and "Top Doctors" in Texas Monthly Magazine for 2013. Dr. Ali specializes in general cardiovascular diseases, interventional cardiology, peripheral interventions, echocardiography, nuclear cardiology, cardiovascular computed tomography, heart failure, atrial fibrillation, congenital heart disease, pulmonary hypertension, venous insufficiency treatment of varicose veins as well as many other cardiovascular related diseases. He is skilled in complex coronary stenting, carotid stenting, abdominal aneurysm stenting, mesenteric and celiac artery stenting, subclavian artery stenting, atrial septal defect and patent foramen ovale percutaneous closure, aortic valvuloplasty, mitral valvuloplasty, pulmonic valvuloplasty, right heart catheterization, temporary transvenous pacemaker placement, transesophageal echo and atrial fibrillation and atrial flutter electrical cardioversion, laser atherectomy, orbital atherectomy, directional atherectomy, renal artery stenting, inferior vena cava filter placement, endovenous laser ablation and many other cardiac procedures. He currently sees patients in the Fort Worth location. Dr. Ali enjoys traveling and gardening with his wife and kids.